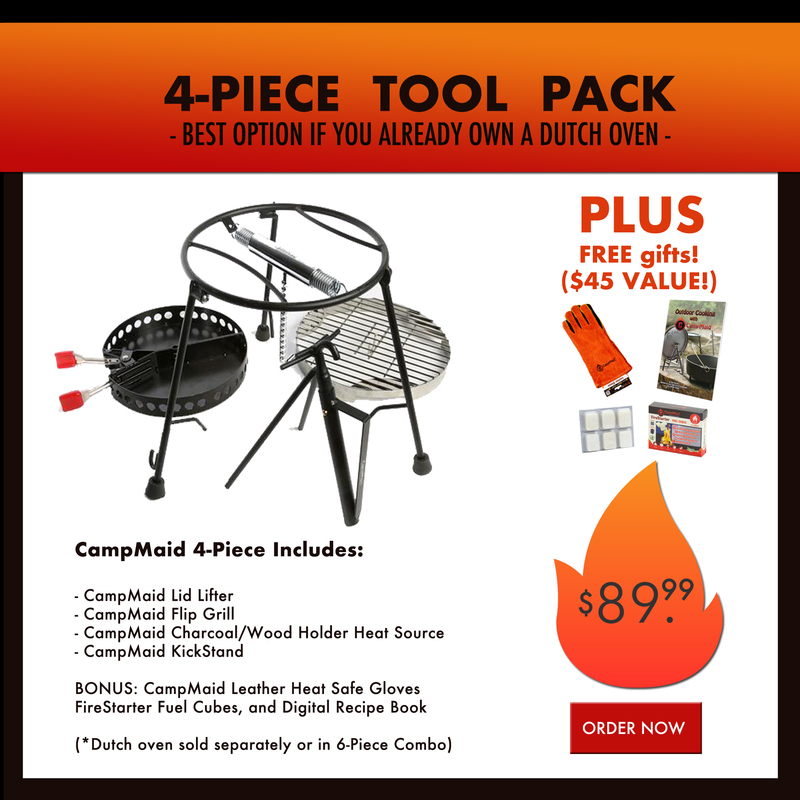 Turn Your Dutch Oven Into So Much More! 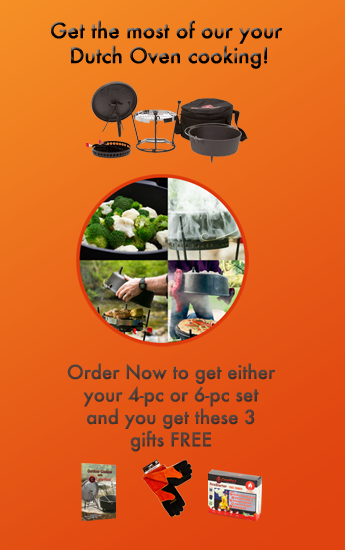 Look No Further - People Really Love CampMaid! 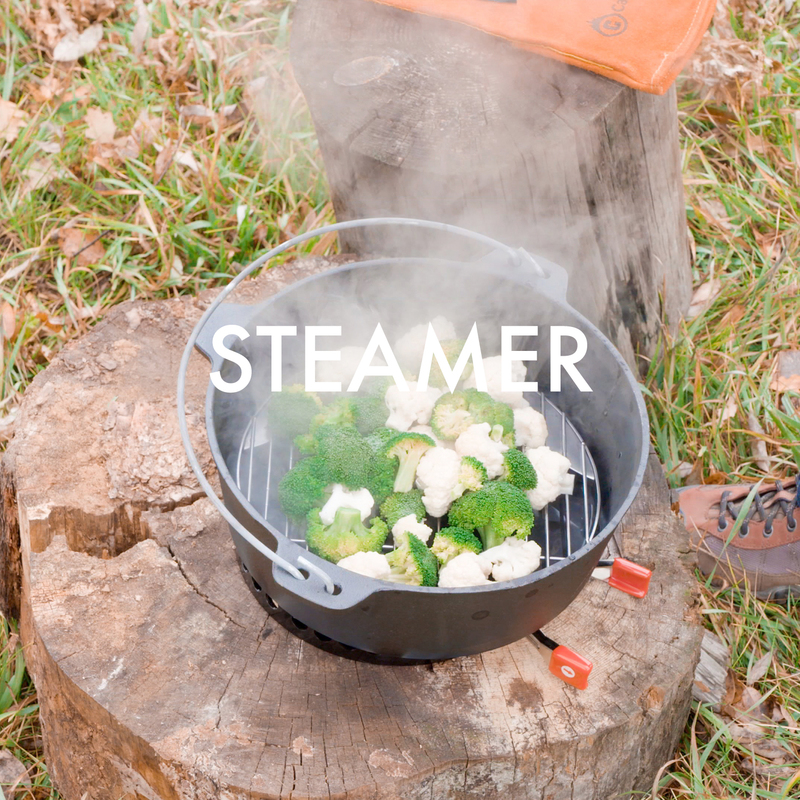 I must say this is one of the best outdoor cooking/camping/ portable gear I have ever owned. My wife made an amazing pot roast/stew with deer meat from a buck that I murdered. 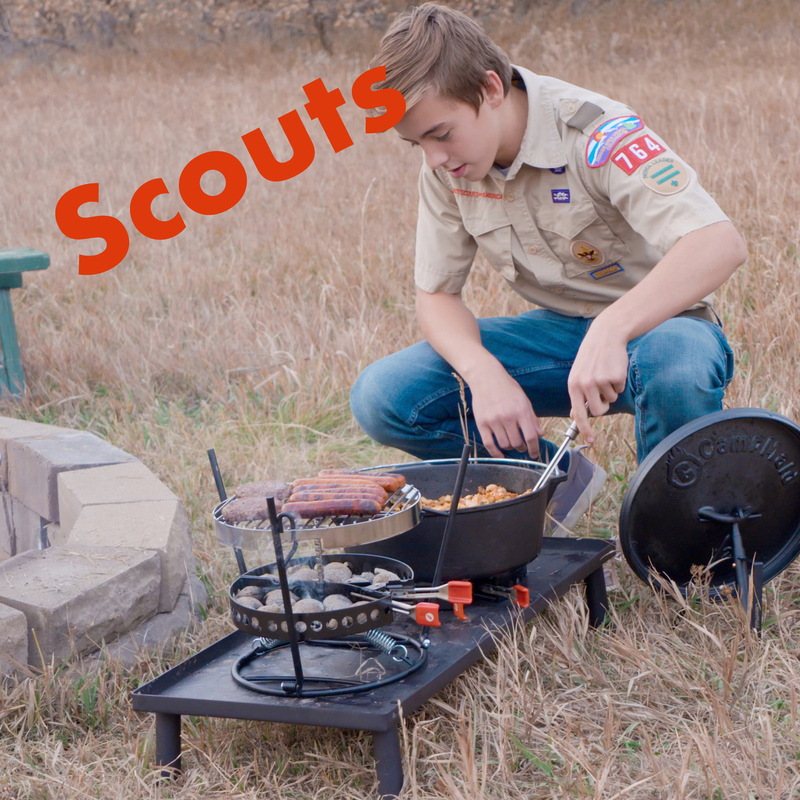 lol The Dutch oven holds heat extremely well which is great because you don't need large fires for it to do it job and even after the fire goes out it will still hold its heat for our keeping your food hot." 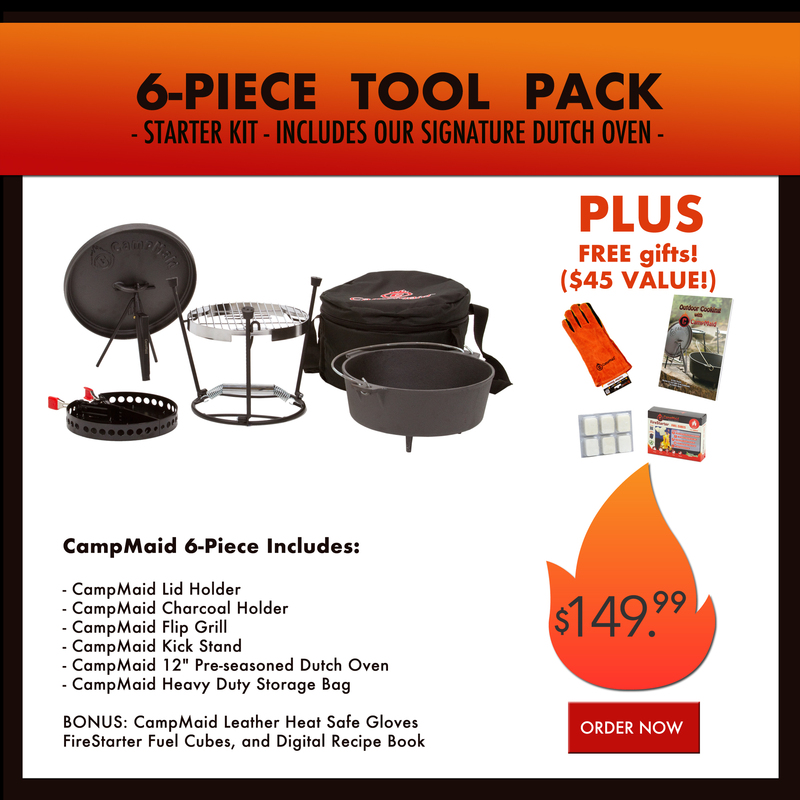 It folds up and stores inside your dutch oven so it doesn't take more space! I have made breakfast...eggs, bacon and pancakes and it works perfect. 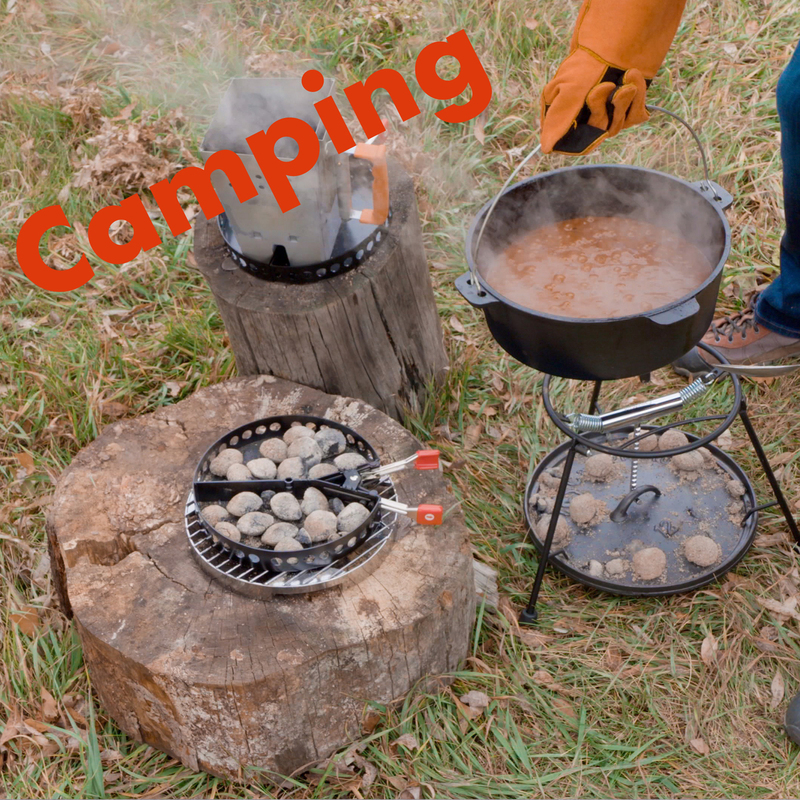 The lid of my dutch oven is my new favorite griddle and CampMaid makes it super easy to adjust the heat while not using much fuel. 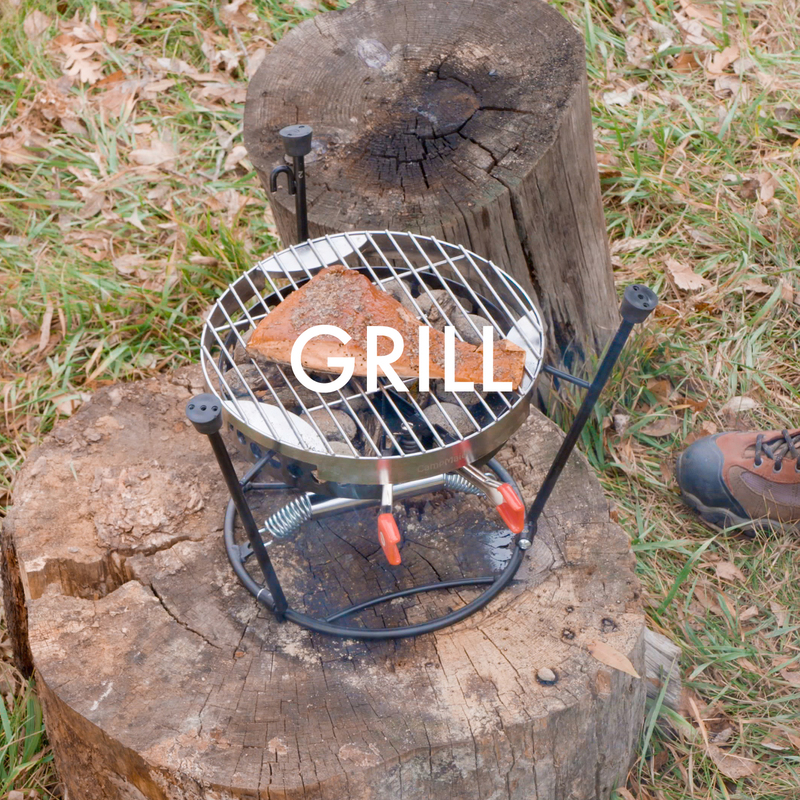 You can also cook off of the fire so it's not full of soot and ash. 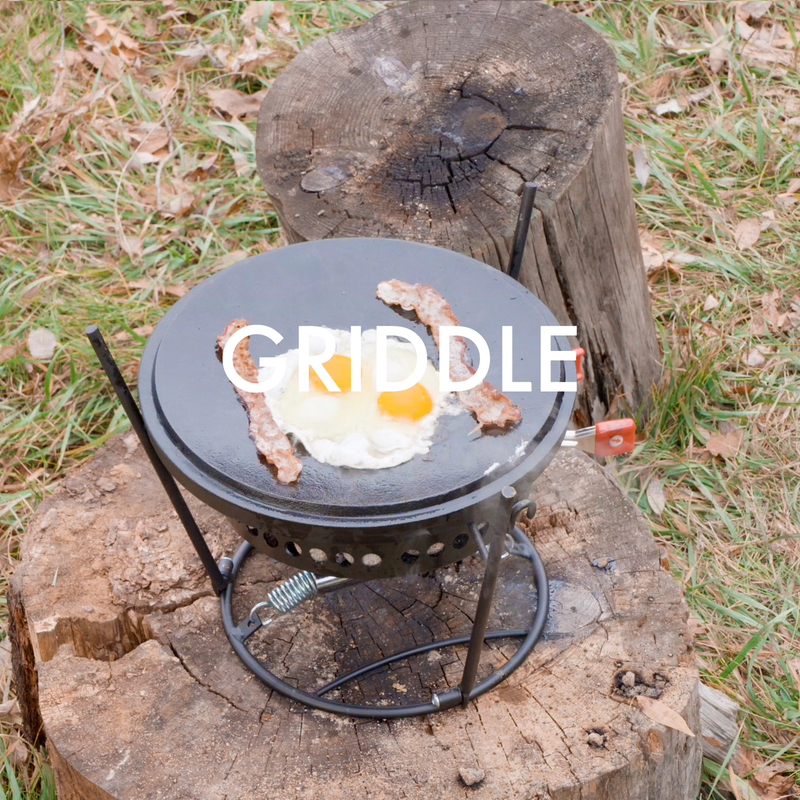 You also can get your griddle level easily. 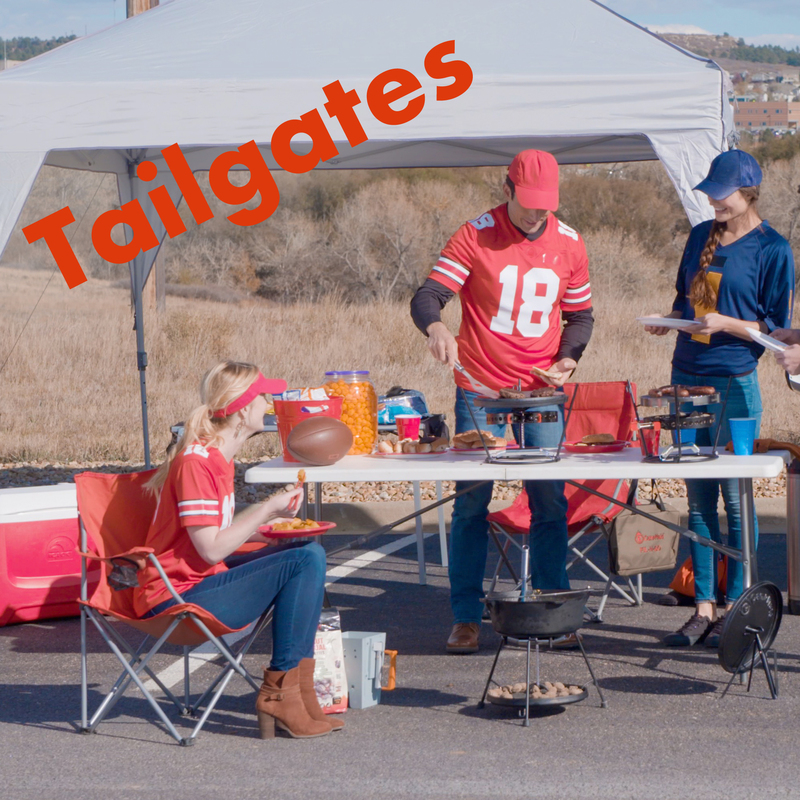 This makes cooking in the wild or even tailgating a snap! 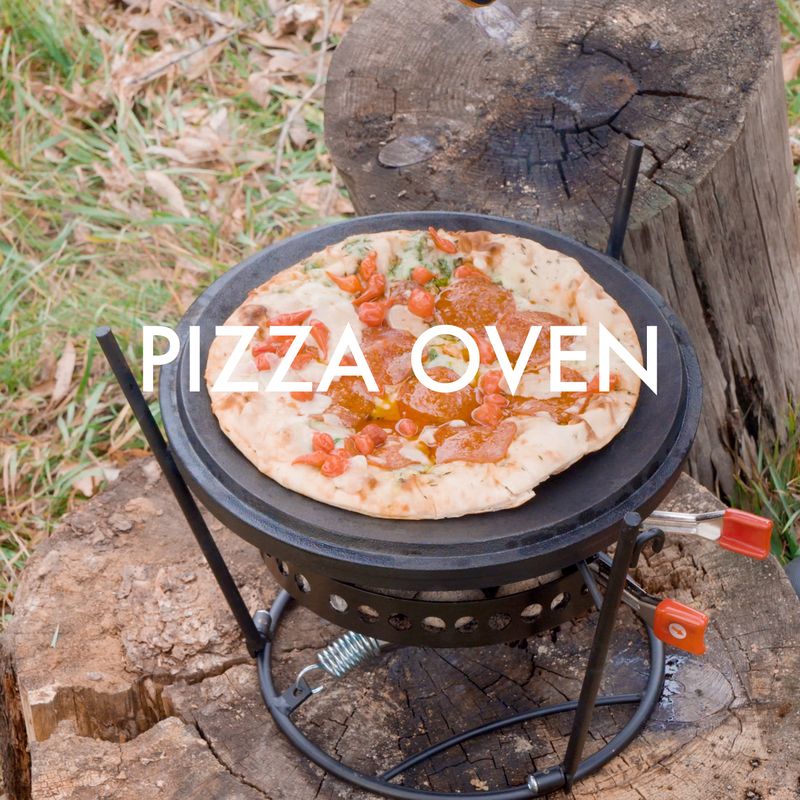 Anyway, I absolutely love this product, its so versatile, easy to use and then stores invisibly inside your dutch oven! 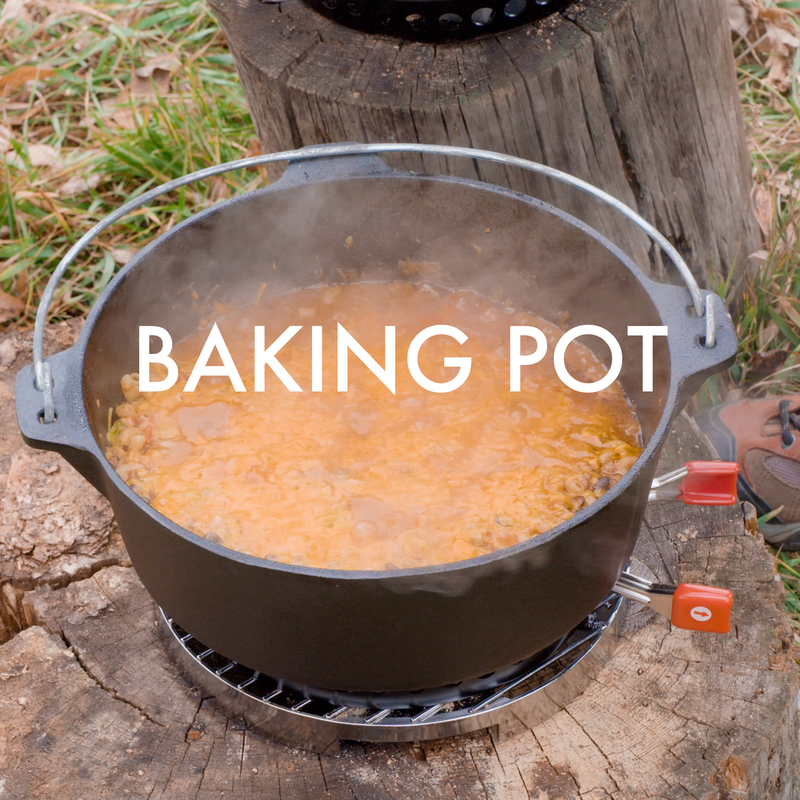 I tried the upside down dutch oven trick that I saw on your video and it came out delicious! You have a really great product! 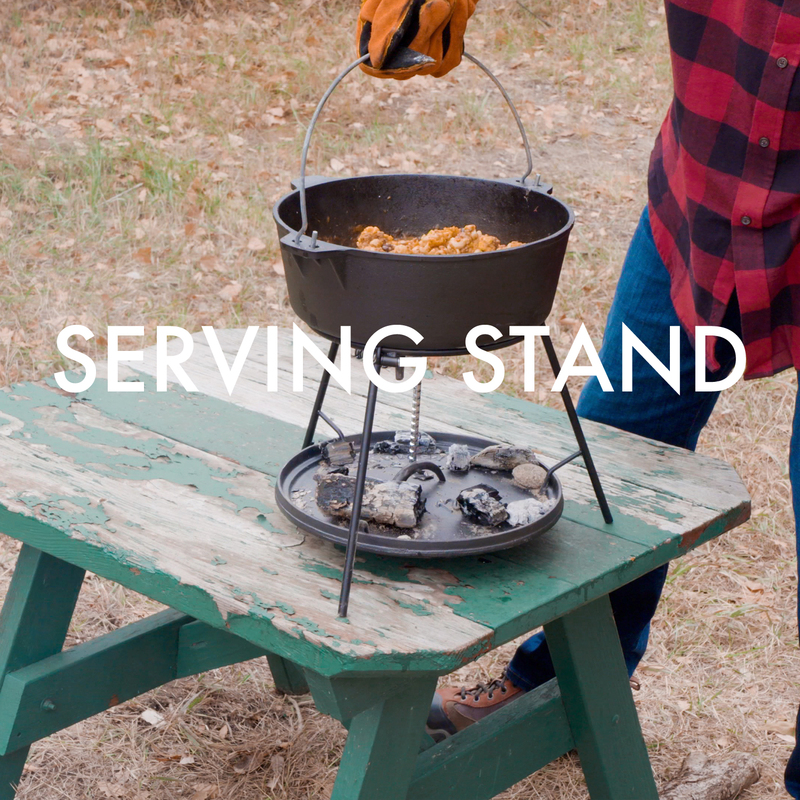 I was looking for a simple lid stand, but this worked out so much better. Next, I was going to try to bake some cookies using the upside down trick. 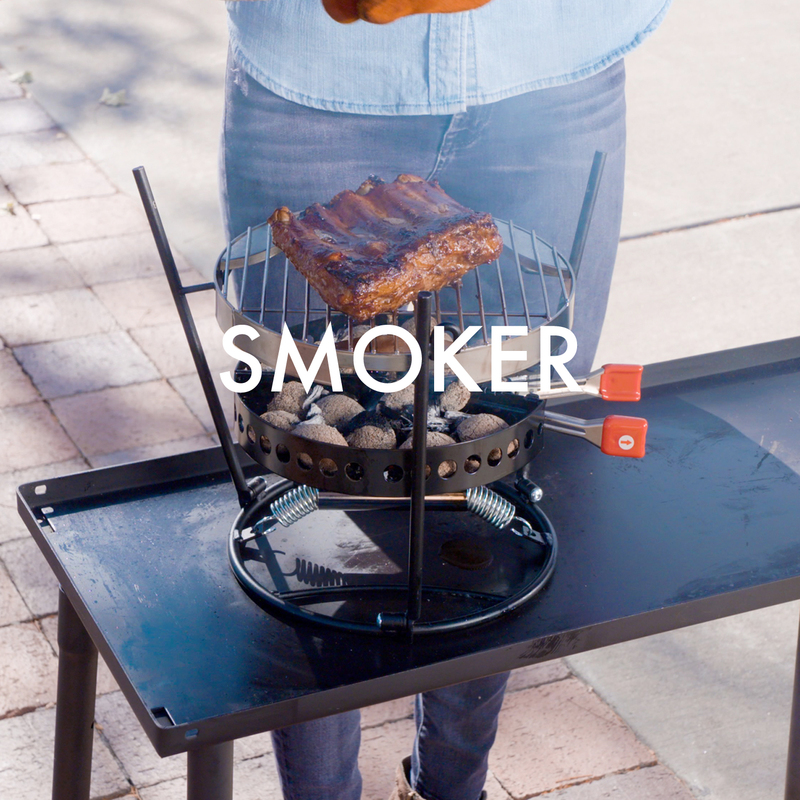 I'm also looking forward to getting the flip grill so I can steam my veggies. The possibilities are endless now!